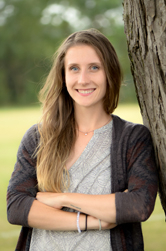 Christina graduated with a Biology degree from the University of Toronto in 2014 and went on to complete a post-graduate diploma program in Ecosystem Management Technology at Fleming College. Since joining the D&A team in 2016, Christina has been involved with a wide range of projects involving plant and wildlife identification, species-at-risk surveys, Ecological Land Classification, GIS mapping, and arborist assessments. Christina brings a unique background in aquatic ecology to the D&A team and is certified to conduct benthic monitoring per the Ontario Benthos Biomonitoring Network protocol. © Copyright 2019 Dougan & Associates. All Rights Reserved. Content Management Tools by REM Web Solutions .